NASA will solicit proposals in February for the third phase of a program aimed at developing commercially operated astronaut transportation systems, an agency official said Tuesday (Dec. 20). NASA wants to pick at least two winners by August, Ed Mango, NASA’s Commercial Crew Program manager, said during a conference call. Mango described the next phase of NASA’s commercial crew program as a “pretty big jump” from the previous two rounds, which focused on developing only individual components of crew transportation systems. “Obviously, this next phase has to be a lot bigger than element designs,” Mango said on the Dec. 20 call. In the third phase of the program, NASA hopes to get at least two competing crew transportation systems ready to enter production. More details about the award will be discussed in advance of the solicitation on a public conference call tentatively set for early February, Mango said. NASA’s commercial crew program has now switched gears twice in 2011. The agency was to have released a solicitation Dec. 19 for a “Commercial Crew Integrated Design Contract” — a 21-month fixed-price contract culminating in a critical design review of at least two proposed astronaut taxi systems. However, the agency announced Dec. 15 that because of budget uncertainty, it was scrapping that contracting vehicle in favor of a similar program funded by Space Act agreements, which are not bound by the Federal Acquisition Regulations that govern traditional government contracts. NASA says it can use Space Act agreements to fund development efforts — as the agency has done in previous rounds of the commercial crew program — but not to purchase hardware or services. In announcing the shift to Space Act agreements, NASA human spaceflight chief William Gerstenmaier said the strategy would save the government money, but that NASA would sacrifice its ability to manage the design and manufacturing processes. Space Act agreements do not give the agency legal authority to dictate requirements to industry, Gerstenmaier said. NASA requested $850 million for its commercial spaceflight activities in 2012 and received an appropriation of $406 million. The NASA Authorization Act of 2010, which made funding recommendations for the agency through 2013, authorized only $500 million for commercial spaceflight. It is not yet clear how much of the $406 million NASA received for commercial spaceflight activities in 2012 will be used for the third round of the commercial crew program. “It will not be $406 million, I can tell you that,” Mango said. 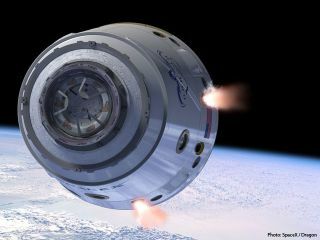 He added that “the vast majority” of the 2012 funding will be used to continue activities initiated under the Commercial Crew Development 2 program, which began in April and is set to wrap up next July. NASA has been encouraging — and funding — the development of privately owned astronaut taxis since 2009. Awards made in the first two rounds are worth a combined $365.5 million. Companies that have received NASA funds to work on crew transportation systems are Blue Origin, Kent, Wash.; Boeing Space Exploration Systems, Houston; Sierra Nevada Space Systems, Sparks, Nev.; Space Exploration Technologies Corp., Hawthorne, Calif.; and United Launch Alliance of Denver.